ISIS and other political extremist groups are often seen holding one finger, the index finger in the air. That they have chosen the pointed finger as a political symbol, is undoubtedly true. But does that mean that all that are pointing fingers in the air are members of ISIS? And are all Muslims that ever raise their index finger dangerous terrorists? First of all I would encourage you to use Google. Pointing with index fingers is not uncommon. When you point at something you want to direct people’s attention to something. Pointing up in the air is a variation of that. In the European and American cultures we do it all the time. When you watch sports on TV you see it all the time. 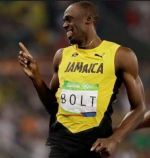 It symbolizes “I am number one”, “I am the winner”. 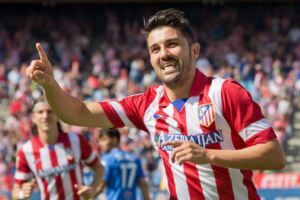 Soccerplayers often show the indexfinger after scoring a goal. When you watch athletics you see it all the time. Martin Luther King frequently pointed fingers. He pointed AT the racists challenging them and he pointed up in the when he said that mankind is ONE. I am from Sweden. Here different organizations for decades have used the symbol “pointing an index finger up in the air” when fighting racism. The symbolic meaning is the same as for King: “unity, mankind is one”. Last year racists spread articles about a Swedish TV show where children raised their finger. The “ISIS-Salute” some Islamophobes claimed. In this case it was a TV show against racism where they wanted to say that mankind is one. The show was done after a racist murdered three people two of then children in a school in Trollhättan. Pamela Geller claimed that the former President Obama was an agent of ISIS when he happened to raise his index finger once, when giving a speech. 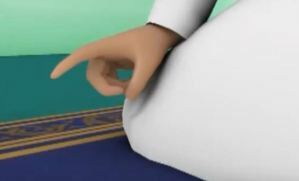 In Islam the symbolic meaning of the pointed finger is that “there is no god but Allah”. That means that God is ONE, It is a gesture that is used by most Muslims in the Islamic Prayer. This is nothing extremist or strange. 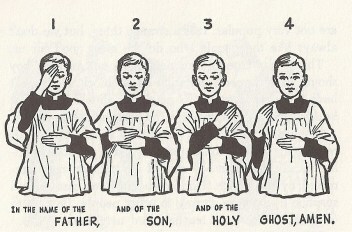 One can compare it to how many Christians make the sign of the cross while praying, or uses the symbol of the cross in different ways. As a symbol of devotion. The pointed finger and the cross have often been “kidnapped” by political groups to serve their purpose. ISIS are not alone, Al Qaeda and other extremists are using the symbol with the finger, too. But it is the same with the Christian symbols. 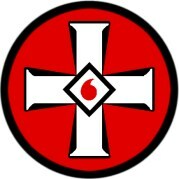 Let me remind you how the symbol of Ku Klux Klan looks like! Different Nazis and Fascists have frequently used the cross to claim that their political views are supported by God. The Falangists in Franco´s spain used the sign of the cross much, because they wanted people to see that they were “true Catholics” and to claim that they had a “mandate from God”. This does not mean that all people that do the sign of the cross are Fascists and Nazis. Some are, especially if they do it to try to link their political ideas to God. But all are not. Most people do the sign of the cross because they believe in God. The British Catholic fascist F.K Chesterton, that Breitbart and Milo Yiannopoulos love so much that they want the Pope to make him a saint, used to make the sign of the cross before entering a new house or even sometimes a new room. Does that make the sign of the cross a Fascist symbol? Only a madman would claim that all that do the sign of the cross are nazis because Joseph Goebbels was a Catholic that frequently made the sign of the cross. Only a madman would say that all that do the sign of the cross love fascists because Catholic fascists like Chesterton and the Spanish fascists used it. Only a madman would say that the cross is a symbol of evil and hatred because the KKK uses it. It is equally crazy to believe the scare stories about the Muslims and the index finger. Great article. I agree entirely. It is so easy to misinterpret gestures that are used for multiple things. For instance I keep getting in trouble as well, because people don’t realise that’s just how I wave hello. If you’re feeling edgy you can always YouTube up “we are number one but it’s an Isis propaganda video”. Lol. The ISIS guy is probably trying to say that, “ISIS is number one”. We the stupid of planet Earth are so bloody stupid. The number 1 sign, or the pointing finger are used for a great number of reasons. My pointer to the air – “Good Job”, or “Number One”. My pointer as my eyes follow – “Look!”. My pointer to my kids – “Pick up your damned garbage”. We’ve lost our minds. We no longer see simple meanings for incredibly basic gestures. Did I mention that a great many of us are stupid?